Earlier this year, West Yorkshire Spinners launched a delicious lace weight yarn, Exquisite Lace. 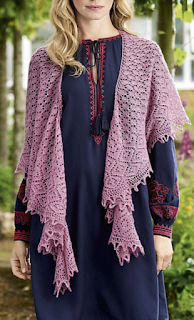 (I designed a shawl for this yarn which is free with purchase when you purchase this yarn from retailers). 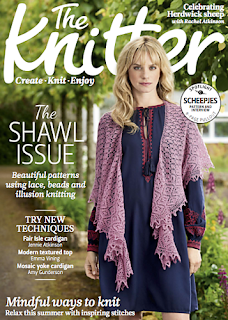 In the new issue of The Knitter, issue 113, I've designed another shawl, Elowen, using Exquisite Lace, which is on the cover. This yarn is a truly exquisite blend of Bluefaced Leicester and silk, spun in Yorkshire and one 100g skein is enough for this shawl. 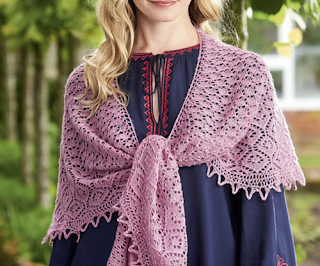 Elowen is a large crescent shawl with a knitted on edging. I will have a tutorial coming up soon for a knitted on edging (sign up to my newsletter so you don't miss it). The body of the shawl has a fairly easy lace pattern with a bigger diamond lace pattern before the knitted on edging. The edging means you don't have to cast off hundreds of stitches. 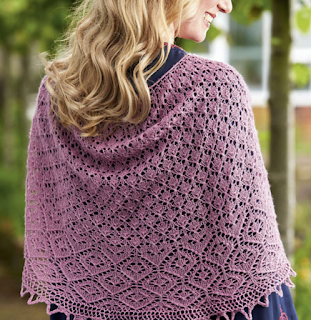 I have tutorials for the Russian Cast Off and the Garter Tab Cast On (using the Turkish Cast On). 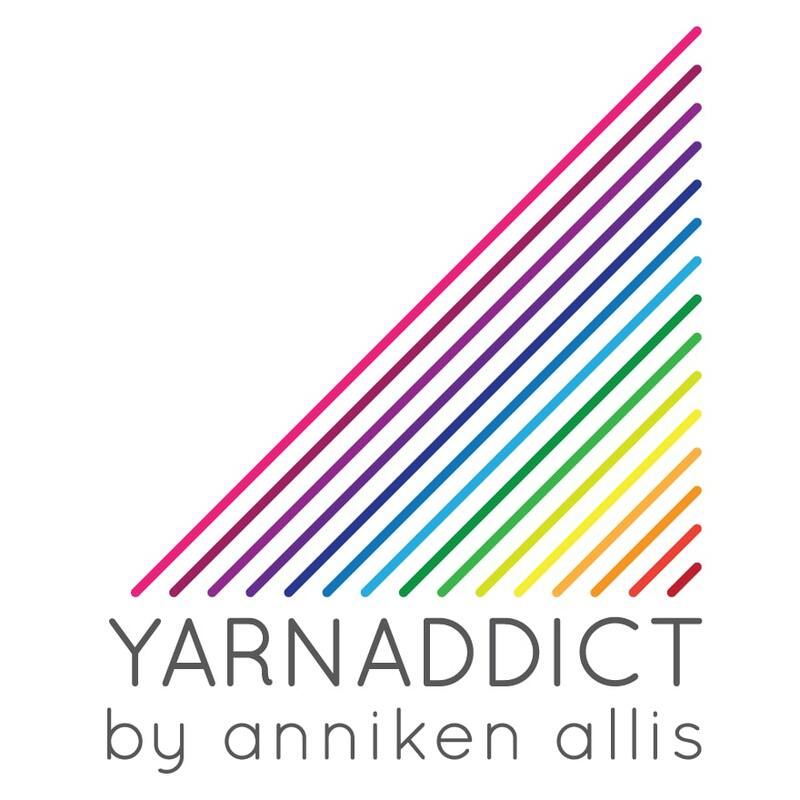 You may also find more of my tutorials helpful. See them all here. 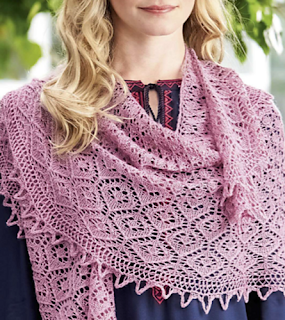 If you're nervous about blocking a crescent shawl, I've got a tutorial for that too.